AUSTIN, Texas — Managing a fishery and enforcing game laws along an international border are both complicated tasks. Combine the two and you have a nightmare for fisheries biologists and game wardens alike. That’s exactly the situation Texas Parks and Wildlife Department deals with every day on Falcon International Reservoir, an 83,000-acre impoundment on the Rio Grande River below Laredo. 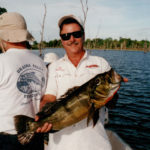 Commercial fishers from Mexico may legally use highly efficient gill nets on the Mexican side of the lake, but their use is illegal in U.S. waters. The fish, of course, swim back and forth across the border at will. 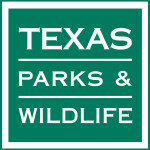 TPWD game wardens recently conducted Operation Pescador in an effort to stop illegal commercial fishing on the Texas side of Falcon Reservoir. Game wardens seized 20 boats and 98,000 feet of gill nets in U.S. waters and arrested 28 Mexican commercial fishermen. 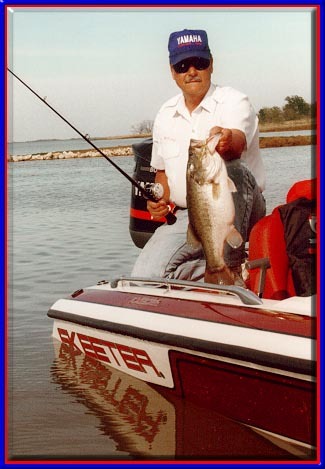 The combination of legal and illegal gill netting and a decade-long drought appear to have harmed the white bass and crappie fisheries in Falcon Reservoir, prompting local citizens to request that TPWD aggressively stock these species into the lake to rebuild the populations. 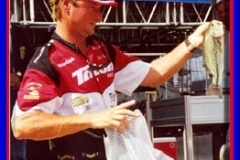 Unfortunately, stocking fish into a lake where gill netting will continue will likely not be effective, says Bobby Farquhar, TPWD’s regional director of Inland Fisheries. Therein lies the dilemma for Texas game wardens. 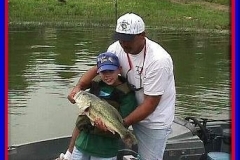 “We have and will continue to work to deter illegal netters in Texas waters, but we have no control of Mexican waters,” pointed out TPWD Executive Director Bob Cook. 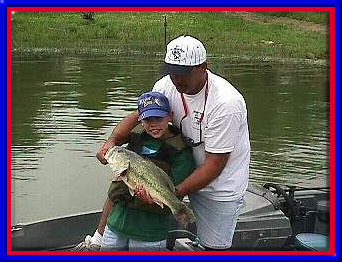 Fishing for largemouth bass and catfish in Falcon Reservoir remains outstanding. Beginning in fall 2003, heavy rains in the Rio Grande watershed brought drought conditions to an end. Falcon’s water level dramatically increased, from 45 feet low in June 2003 to nearly full in summer 2004. The reservoir size swelled to about 60,000 acres. When the lake level rose, water inundated thousands of acres of brush, providing ideal habitat for young fish, especially largemouth bass. 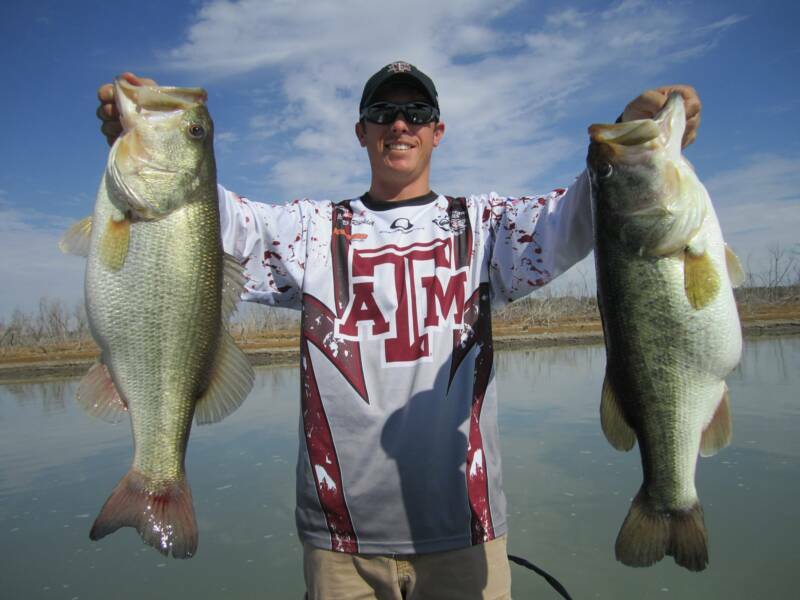 Fisheries biologists took advantage of this new habitat and stocked more than 1.2 million largemouth bass in Falcon. 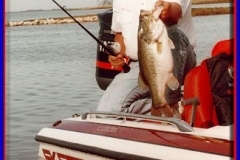 Largemouth bass are not as susceptible as white bass and crappie to gillnets. 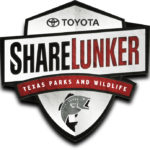 According to creel surveys by TPWD Inland Fisheries biologists, Falcon anglers caught 33,164 largemouth bass and 7,173 catfish from January to March 2006. 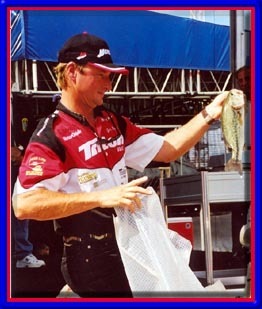 About half of the largemouth bass exceeded the 14-inch minimum size limit, and 90 percent of the catfish were legal harvest size. 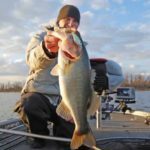 Largemouth bass anglers are averaging an outstanding catch rate of nine fish per 8-hour fishing day with some fishing parties catching more than 50 fish per day. 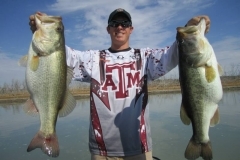 These catch rates are higher than any previously recorded at Falcon, and are higher than catch rates in the vast majority of other Texas lakes. Given its location in a politically and environmentally sensitive area, Falcon International Reservoir will likely continue to pose management problems for both biologists and game wardens.